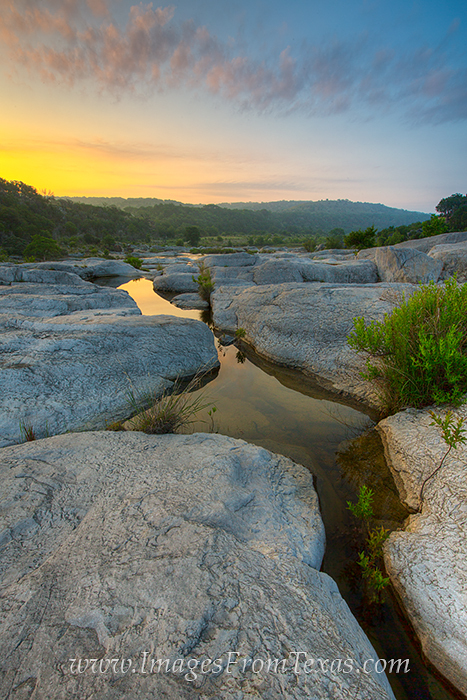 At Pedernales Falls State Park in the Hill Country, small pools like this form after rains. You can often find leading lines heading whatever direction you'd like. On this June morning, I shot this image while waiting for sunrise over this wonderful area. Photo © copyright by Rob Greebon.